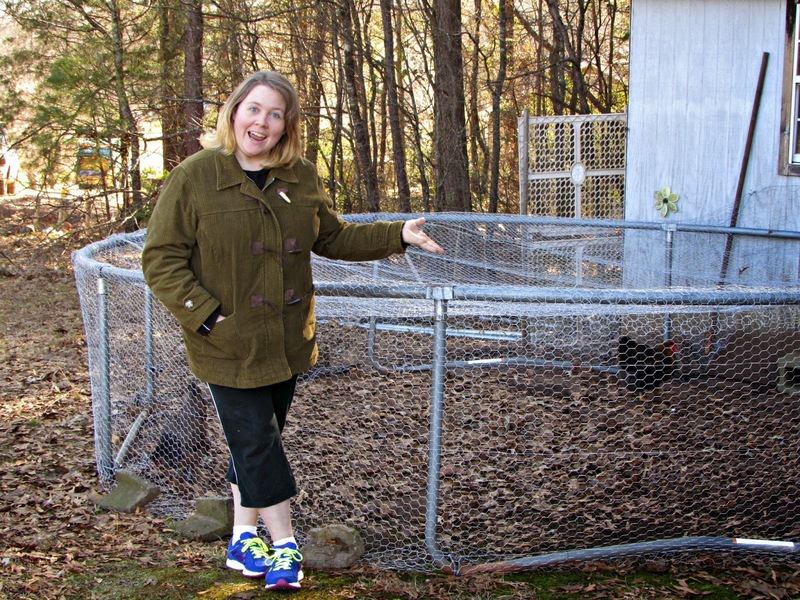 Confession: my once-given status of "crazy chicken lady" has been significantly reduced to "woman that once bought chickens and eventually left it to her husband to be the one who remembers to feed and water them" (clearly that's a conceptual reduction and not one of title, yeesh). But let's not talk about that. 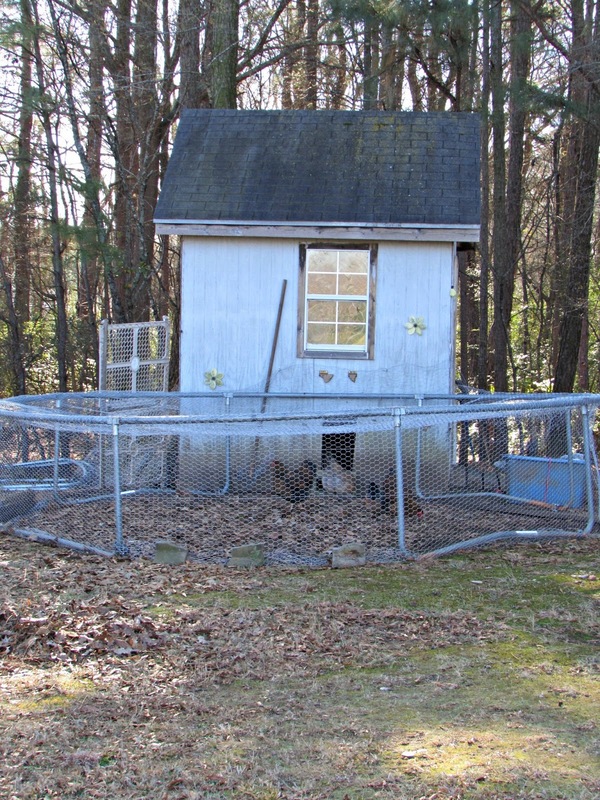 I built a run for the chickens over a year ago out of some pretty crude materials. I've been amazed it's lasted as long as it has and how sufficient is has been, but two nights ago we had insanely strong winds whipping about our spot on the map. When Ava and I went out yesterday to play in the back yard I discovered that the run had completely collapsed on one side, likely from those strong winds and just being past its prime. Moreover, there was a gaping open space at the top of it so that if the unclaimed treasures pooled their collective brain power they could possibly figure out that one good hop straight up would be their path to freedom and danger. I realized all of this at about 1:45 yesterday afternoon. 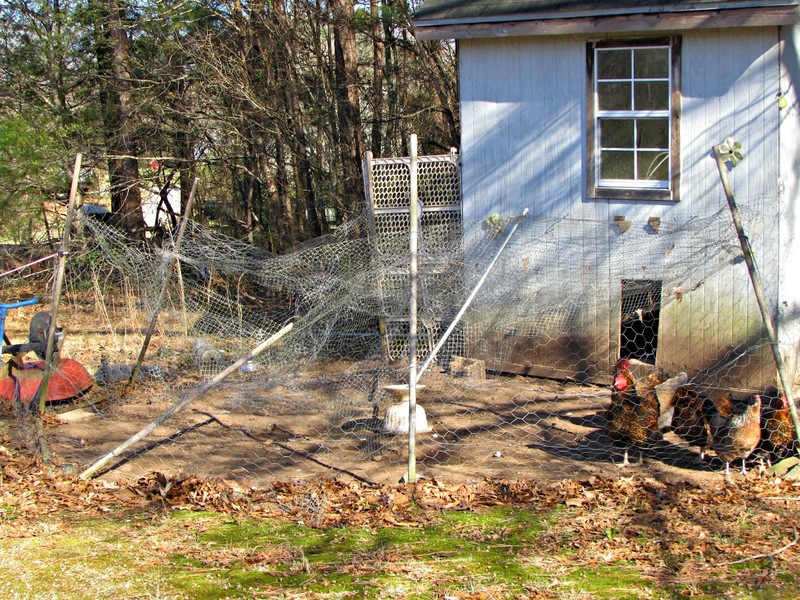 I'm headed out of town for the weekend today, but I knew the chickens couldn't stay exposed and vulnerable until Monday - and I couldn't leave my husband and kids with the potential of having to chase errant chickens around the back yard - so a quick plan had to be devised. 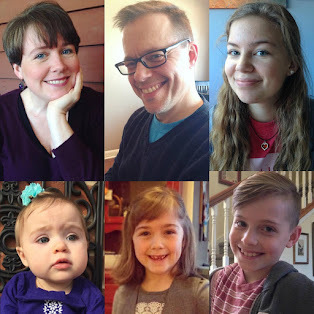 Here's what we did. 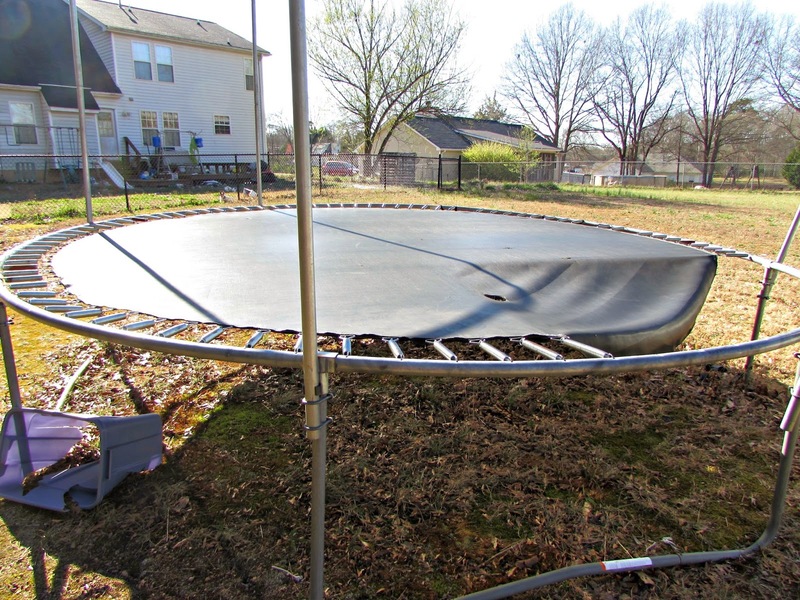 The kids had a trampoline that the previous homeowners generously left. We got a lot of mileage out of it, but it has really seen its last day, at least by way of safety measures. 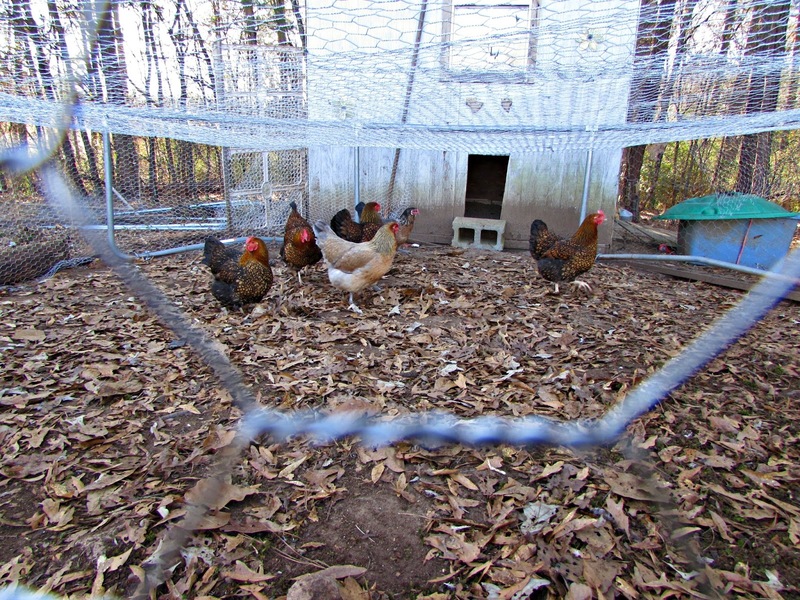 I got the idea that if I took the mat off, I could move the frame over to the chicken coop, cover the entire area in chicken wire, and the girls would have a new, sturdier, very weather-proof, bigger run. Here's how Anthony decided to finish off the destruction of the trampoline mat . . . This is what had happened to the existing run. It looks like a pile of trash. 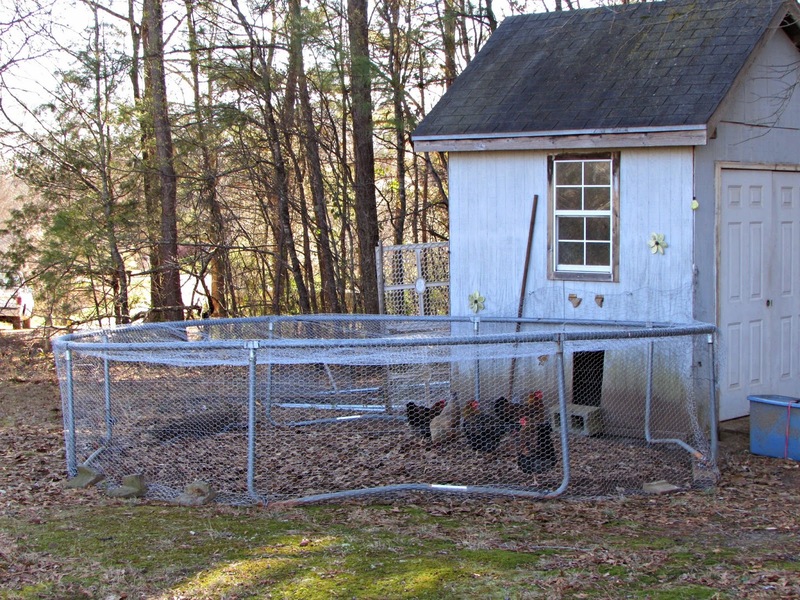 The only materials I needed to purchase for this project was two new rolls of metal chicken wire. On this previous run I used a combination of metal and plastic wire. What I learned from the experience was that within a year the plastic wire becomes completely brittle and just tears apart if you look at it cross-wise. So again, I purchased only the metal fencing and one spool of cuttable wire so that I could affix all of it together and knit up any gaps. All total it cost me $50.00 and three to four hours of time spread out over yesterday afternoon, evening, and this morning. I may have been demoted from crazy chicken lady, having lost a little fervor. But this work was so cathartic and a reminder of how much I love being outside, working with my hands...and those silly birds. reattach the springs (not too tight) might lift the top to a tighter position . Just my observation. 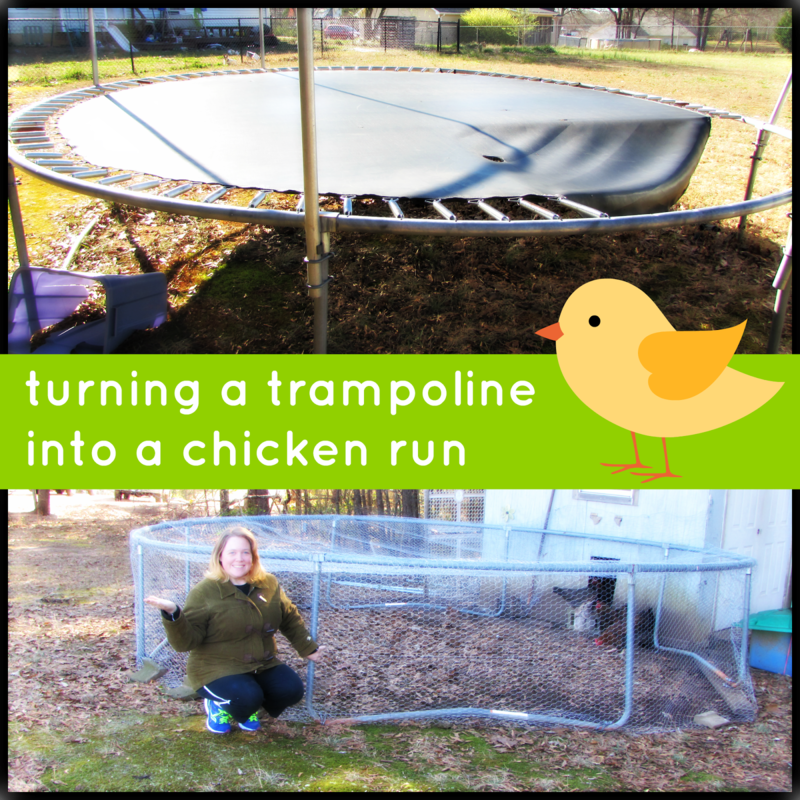 We were wondering about how we could build a run cheaply and with an old trampoline in the garden well--------- crazy chicken lady we shall see how we get on!!!! Wish us luck!